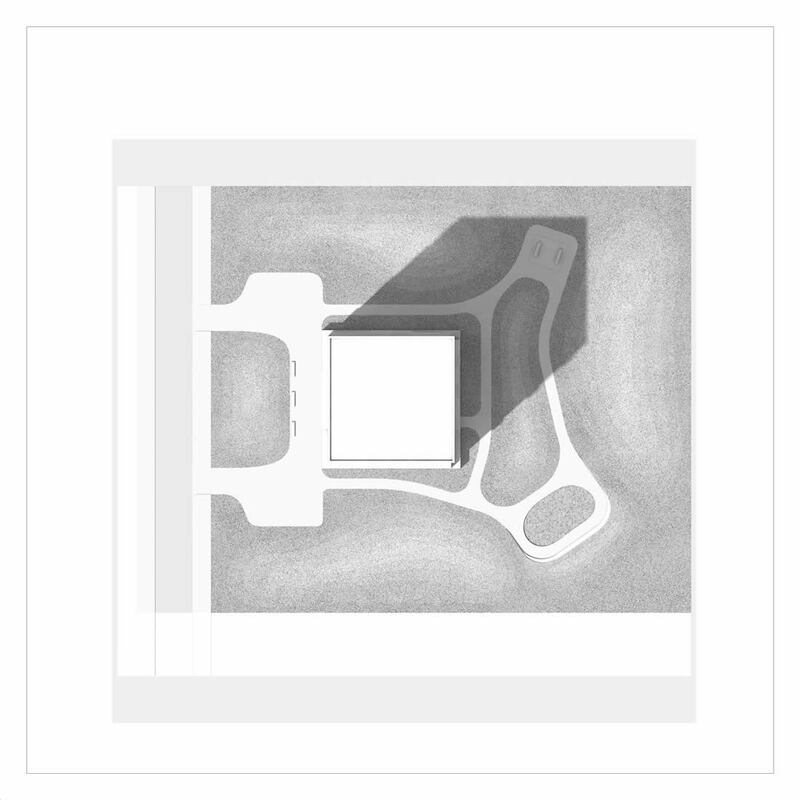 The peculiarity of the task is not to develop the design for a specific urban context, but rather to think about it in such a way that it can be applied to very different local conditions and properties. 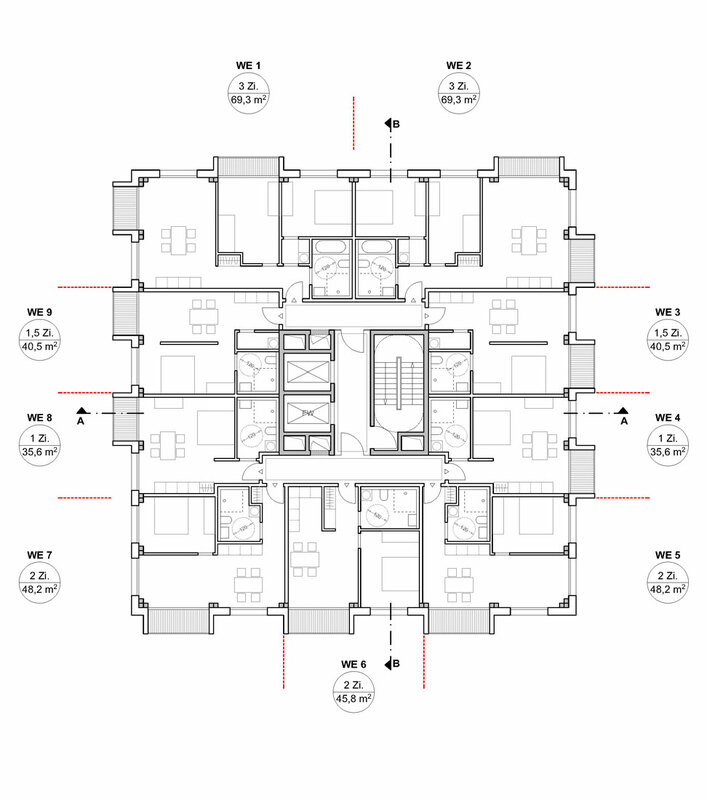 The spatial concept is designed to minimize circulation spaces and to provide the maximum actual living space possible. 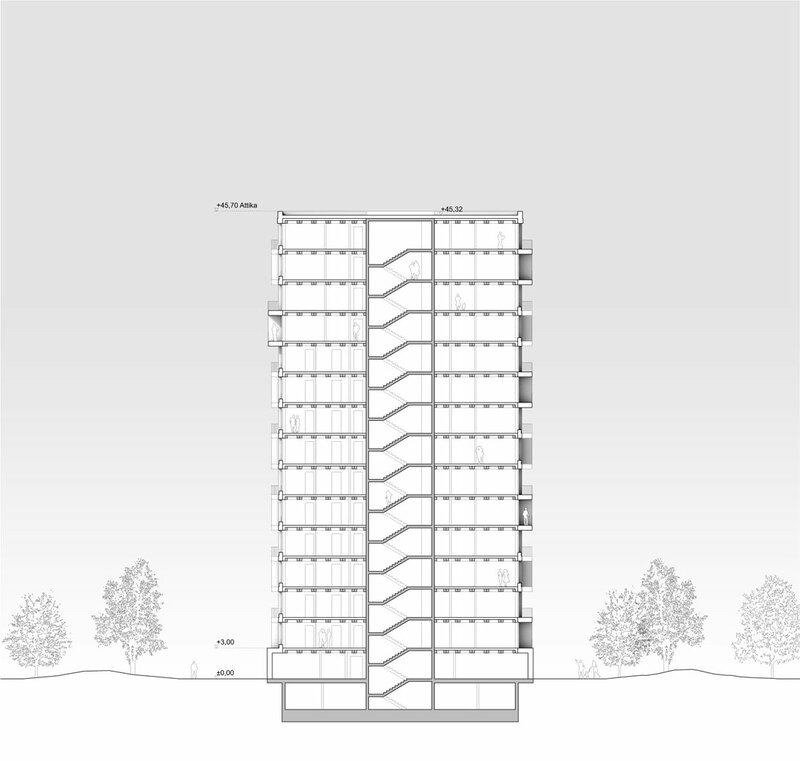 At the same time, the plan allows for optimal natural lightning the apartments. 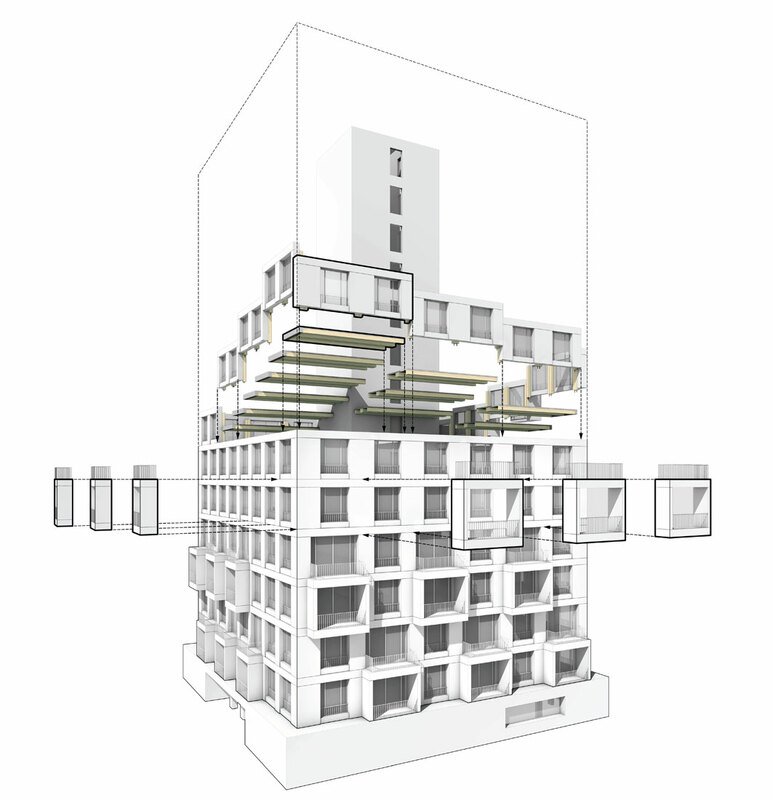 The development of a type high-rise house focuses on aspects such as sustainability, flexibility and profitability. This inevitably leads to the idea of using wood as a building material. 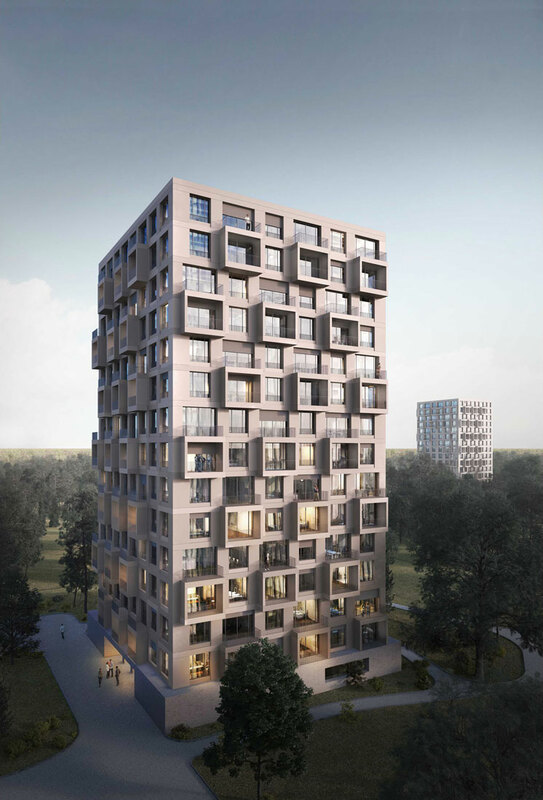 In addition to wood-hybrid slab elements, which rest on double wooden supports, as well as reinforced concrete composite beams, prefabricated modules in wooden frame construction are planned for the façades. 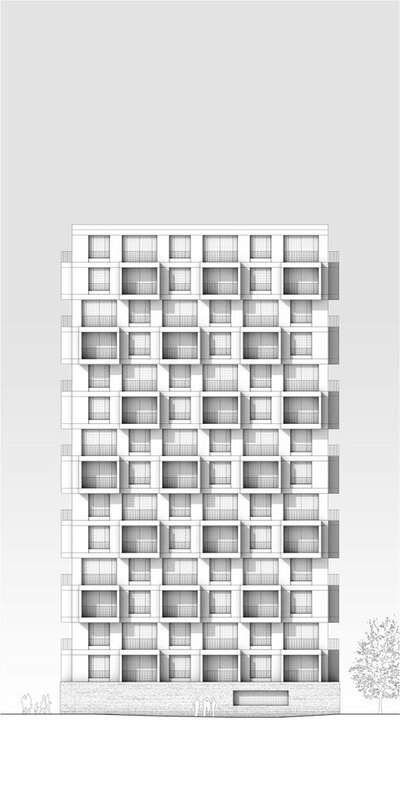 These modules form a building-unit together with the supports. By prefabrication in weather-protected production sites, construction phases are shortened on site. In addition, the quality of the components can be maximized by prefabrication. First, the massive circulation core is built in reinforced concrete. Subsequently the column, ceiling and exterior wall elements are installed, whereby the construction time of a single story is only one day. 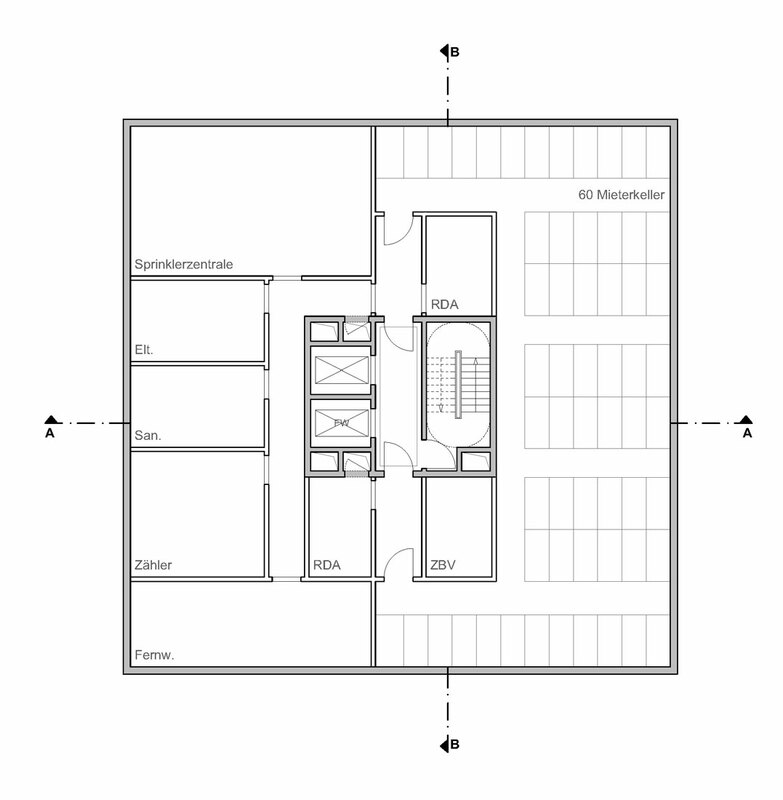 Within this basic structure, different housing layouts can be realized, since all partition walls are non-load bearing. 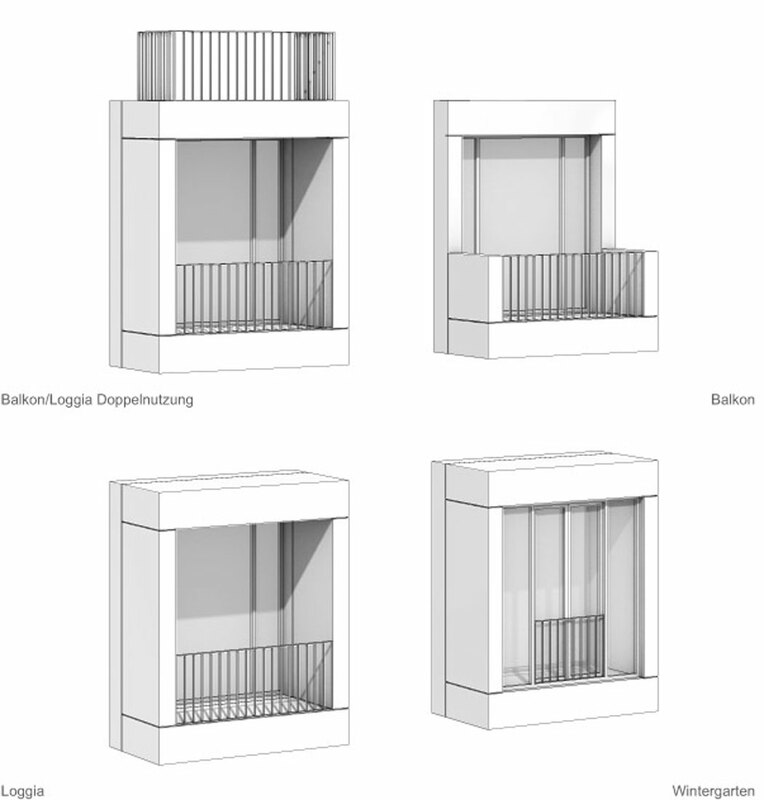 Maximum flexibility continues on the outside, where loggias / balconies / winter gardens can be arranged in every facade bay, depending on the floor plan, the geographic orientation or the urban situation.